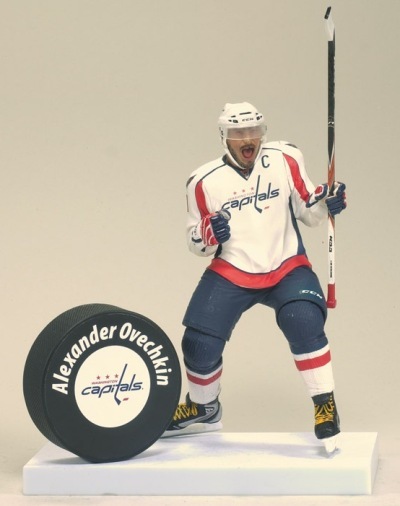 McFarlane recently announced details for their upcoming NHL 30 SportsPicks, a six-figure set scheduled to debut in late January, 2012. The lineup brings together one rookie, four veteran players and one Hall of Fame legend. Toronto Maple Leaf fans are hoping that the young James Reimer can give the Leafs with a strong net presence and stop the revolving door between the posts the team has endured over the last several years. Reimer gave fans reason to hope, posting solid numbers in his rookie campaign with 20 wins in 34 starts, a .921 save percentage and a 2.60 goals-against average. Montreal Canadiens captain, Brian Gionta, is the only veteran in the series who has not appeared in a regular SportsPicks line (his first figure is slated for the upcoming Canadian Tire Series 2 line mentioned below). Embraced by fans at the onset of his arrival in the Quebec metropolis, his work ethic and fan-friendly attitude have entrenched him as the current face of the franchise. Daniel Sedin is recovering from a monumental absence when his team needed him most. Though not injured during the Stanley Cup Playoffs, his non-existent contribution frustrated Canucks fans, particularly after another strong regular season campaign. 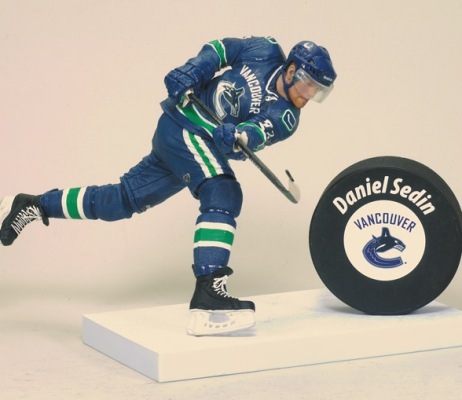 Sedin is an interesting inclusion in the set, as this is already his third figure. Ryan Smyth, also known as Captain Canada, is making his return to the Edmonton Oilers after a four-year absence. A hometown hero, many fans and collectors will be anxious to get their hands on Smyth's second SportsPicks figure. Pavel Datsyuk of the Detroit Red Wings has won the Selke Trophy as the NHL's top defensive forward for three straight years. Datsyuk's ability to play a two-way game help make him a fan favorite in Hockeytown. This is his second figure in the SportsPicks line. 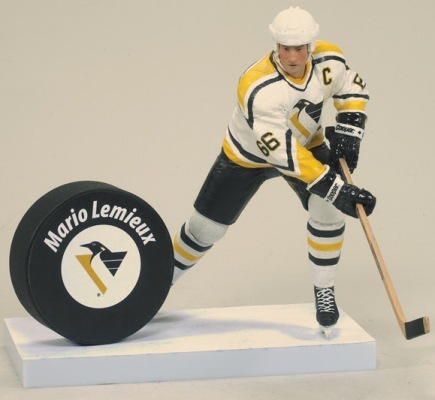 This is the fourth figure for Mario Lemieux. One of the game's all-time great players, and current owner of the Pittsburgh Penguins, he is a revered and respected member of not only the hockey community but the blue-collar city of Pittsburgh as a whole. Few players deserve multiple figures but Lemieux is certainly one of them. 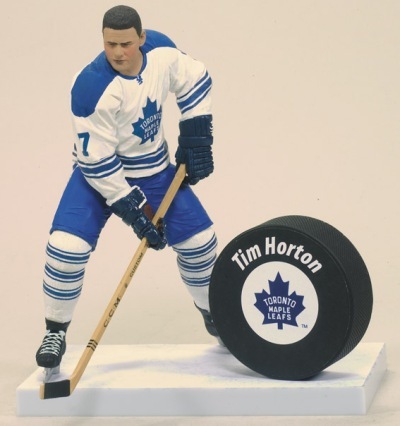 In addition to NHL 30, McFarlane is also gearing up for the second series of limited edition figures available exclusively at Canadian Tire stores. 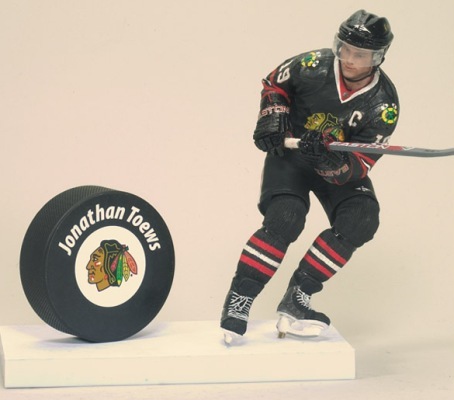 Distributed exclusively to the Canadian market, this release features Jonathan Toews, Daniel Sedin, Alexander Ovechkin, Tim Horton, Brian Gionta and Mario Lemieux. Scheduled for release this coming October. 2004 McFarlane NHL Action Figures 3-Inch Scale Mark MESSIER Ryan SMYTH !MINT!